Four of my kids have Sensory Processing Disorder (SPD). It’s been a challenge to learn what works best for them but now that we have been on this road for many years, I have discovered things that make their lives so much easier. I wish I had known in the beginning what a huge difference a few small changes could make. These are some of the must-haves that I have found in working with them. 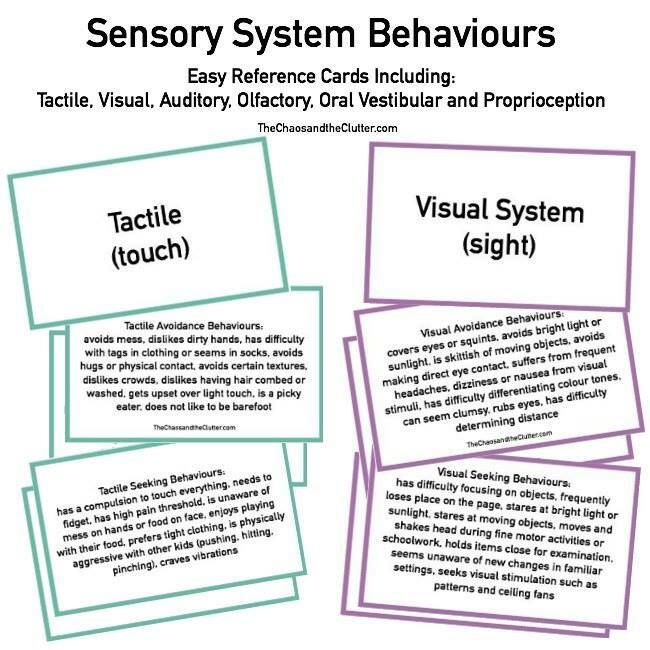 It was hard to create this list because not only are there different types of Sensory Processing Disorder that present very differently and can actually present opposing needs, but each child is also so unique. You can read more about the signs of Sensory Processing Disorder here. I am sharing what works for some of my kids. 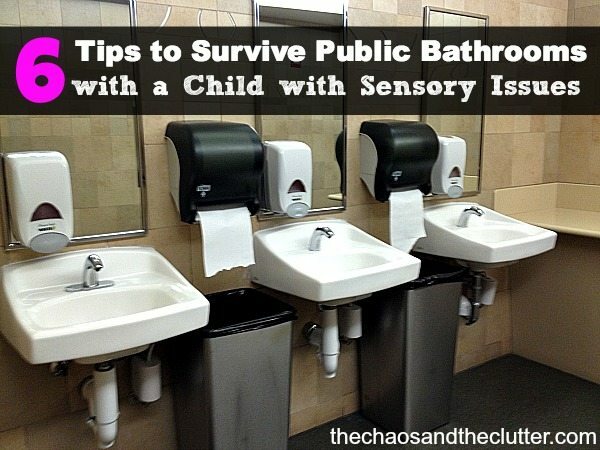 What works for other kids with sensory needs may vary. There are several books geared towards children regarding Sensory Processing Disorder and I have shared some in Our Favourite Books for Kids About Special Needs. The Out-of-Sync Child: Recognizing and Coping With Sensory Processing Disorder and Sensational Kids: Hope and Help for Children with Sensory Processing Disorder are two must-reads for parents or teachers of kids with SPD. The Out-of-Sync Child has Fun also has great ideas for activities and practical suggestions that are very helpful. 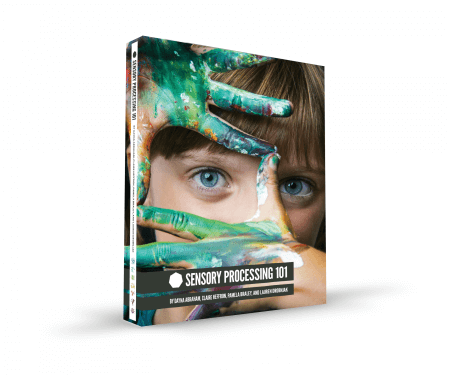 Sensory Processing 101 is a very comprehensive book written in part by a mom with a child with SPD. It explains SPD very well and also has a large section on activities and contains handy printables. It is great for teachers, professionals and parents. Not all of our kids like weighted items but the ones that do, love them! We buy our weighted blankets, capes, neck rolls, and neck curves at Innovaid (you may recognize some of the models on their site as my kids!). Two of our kids who like deep pressure have a very hard time sleeping without their weighted blankets. Those same two have an easier time attending during our homeschool lessons if they wear a weighted cape or neck curve. They also have weighted stuffed animals that seem to help calm them. There are tutorials available that walk you through making your own weighted blanket. (hint: click that highlighted text to take you to a list of online tutorials) There are also tutorials for making your own weighted vests. Fidget toys such as the ones from Tangle Creations can be very helpful in focusing. Especially for children who have to attend for longer periods of time, they can make a tremendous difference. In order for something to be called a fidget toy, it doesn’t need to be officially sold as such. 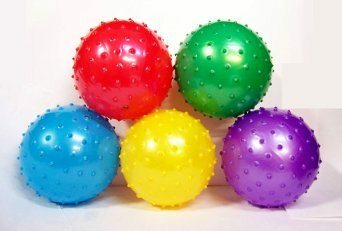 The one most often used by my kids is sensory balls and we make our own for pennies. My kids also use things like knobby balls or stretchy snakes when they are sitting at their desks so that they have something in their hands to squeeze and pull and move around in their fingers but that doesn’t make a lot of noise or distract the other kids. 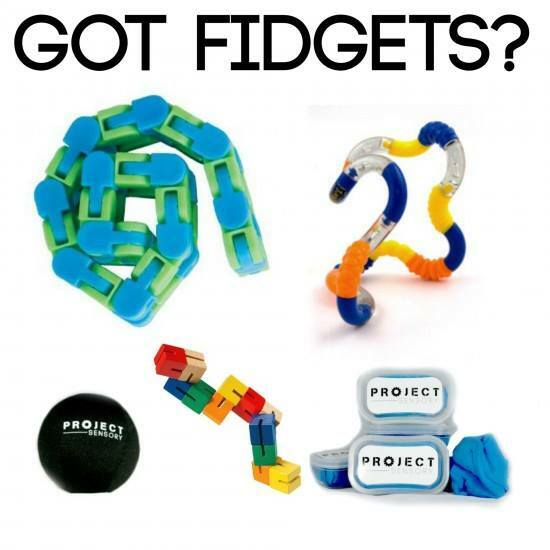 Project Sensory offers a wide variety of fidgets as well as other sensory items. They are focused on helping children succeed at navigating the world around them. Two of my kids really like the Movin’ Sit Cushion. 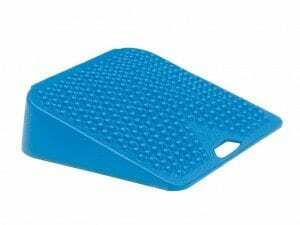 This wonderful invention allows them to stay seated but move around silently at the same time! Not all of my SPD kids like it though. There are other ways to help your child with SPD in sitting. At places like Ikea, you can buy round textured disks that are about the size of a seat and some kids like the feel of sitting on them. Another adjustment you can easily make to the chairs in your home to make them more SPD-friendly is to put a theraband or other type of stretchy band around the legs of the chair. This provides sensory feedback to a child who is sitting swinging their legs, as the backs of their legs will make contact with the theraband. One way to explain why some children find this helpful is this…children with SPD do not always have a good sense of where their own body is in space and when their legs swing freely while they sit, it can be an unsettling feeling, but providing a resistance band on the legs of the chair gives them feedback and lets them know where they are in relation to the chair and to the room around them. Other suggestions include things such as bean bag chairs or swivel chairs, though I don’t recommend swivel chairs in a classroom setting! We have a bean bag chair in our homeschool classroom and it is very popular! 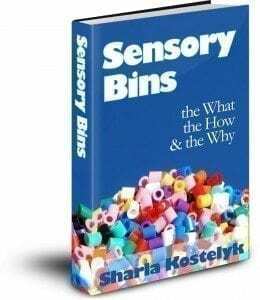 We use sensory bins every day in our home and our homeschool. 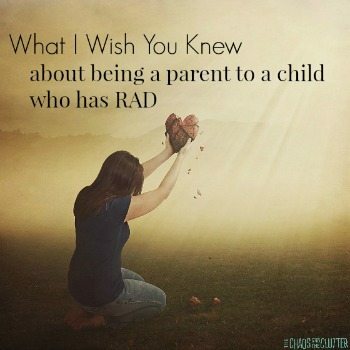 All of our kids love them and they have been particularly effective with our kids who have SPD. I try to make a different sensory bin every week. I sometimes incorporate what we are learning in our homeschooling into the sensory bin. Some sensory kids feel the need to chew on things. If they are not given something to chew on, they will chew on pencils, clothes, toys, or even their own fingers. For “chewers”, chew toys are a healthy alternative to those things. There are chew toys that can be purchased, Chewlery (chewable jewelry), pencil toppers designed to be chewed on, or chewy wrist bands. Play dough is an inexpensive and effective tool to use with kids with SPD. 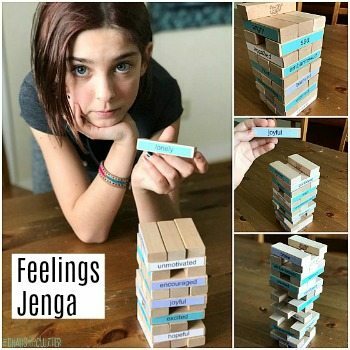 If you have some readily available, kids can use it when they are anxious, overstimulated or even while they are trying to sit still and pay attention. The store-bought play dough doesn’t stay soft for very long and can get crumbly and messy, so I prefer to make my own such as this lavender scented playdough (although I don’t love all that stirring!). There are many wonderful recipes available for homemade playdough online like Jello Playdough and I have included some recipes in my Sensory Bins book. Sometimes, sensory issues and anxiety can go hand-in-hand. 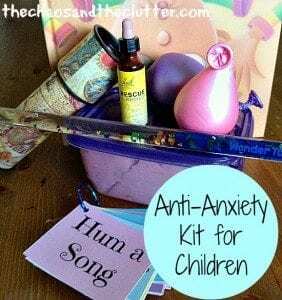 For my youngest daughter who deals with anxiety due to other issues, I have created an anti-anxiety kit and many of the items in the kit are useful with all of my kids, particularly when they are overstimulated and are having a hard time self-regulating. Some of my kids are more comfortable wearing tight clothing or having the feeling of being snug. There are several ways that we achieve this. One is by them wearing a gymnastics body suit (the kind that goes down almost to the knee) that is a size or two too small underneath their clothing. Innovaid carries a pressure vest that provides essentially the same effect and can be worn under or over clothing. Another way is by using a sensory sock. You can make your own by sewing a tube with stretchy fabric. 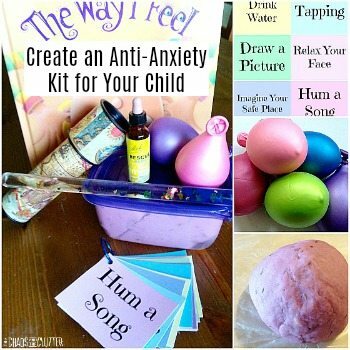 Some children with SPD find music soothing and it can help with their self-regulation. For kids who prefer white noise, a small sound therapy machine can be invaluable. When it comes time to do quiet seat work in our homeschool, ironically, the classroom is actually quieter if I play music while the kids do their work! One of our sons could not get by without his noise reduction headphones. He is extremely sensitive to sound and uses them in the house and especially when we go somewhere that is going to be loud. I try to remember to bring them with us when we will be going to see fireworks or in a crowded place that may be noisy. They have made a huge difference. Looking for more help? 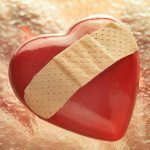 Sign up for a free 5 part email series, Little Hearts, Big Worries offering resources and hope for parents. 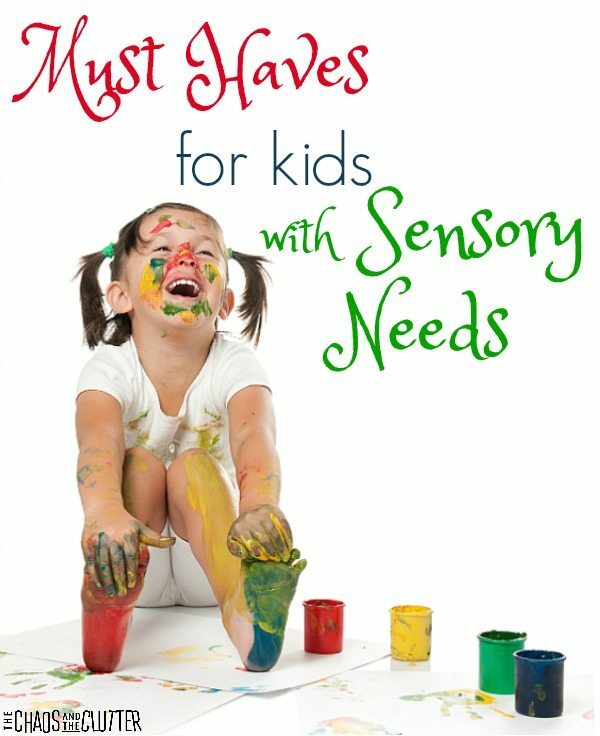 What items have you found to be must-haves with your kids with sensory needs? What a wonderful list. I never heard of the the chewy tops for pencils. I will be getting those right away. We have so real problems with that around here. Hopefully, many pencils will be saved in your home from now on!!! Have a great week Dawn! This is a wonderful list Sharla! I have been debating about getting weighted blankets for a couple of my children, I think I’m going to go ahead and do it. Thank you! I know that the place I get mine from allows you to try them and return them if they are not a good fit for your child because some kids love them and some hate them and some just don’t find they make a difference and they can be fairly expensive so it’s good to have the option of returning them so ask about that when you check into getting them. That’s a nice list! Your book recommendations are right on! I’m trying to go down the list of my kiddos and their sensory needs in my head, to see if I can think of anything you haven’t mentioned. Lol. 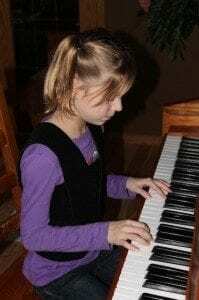 My oldest is VERY sensitive to sound. I have found ear plugs/head phones help him in many situations, including schooling. My second child craves visual stimulation. This can be a plus in his learning when I have visuals that help him, or it can make things far more difficult if he’s craving that input. I find having visually stimulating toys around, when he needs that input, helps him sit very still. Visuals during learning help him complete his work. My third has extreme sensitivities to light, so I find working in a dark room helps her tremendously, that or giving her sunglasses to help her cope with the lights in certain rooms. My third also has extreme anxieties and PTSD issues. I find that if I work to stimulate her senses, she’s more apt to stay in the present. Having her special scented glittery lotion around helps her calm right down and be ready to work. Lastly, my fourth one… We couldn’t afford a weighted blanket, so instead we went with a down alternative comforter for her. It was $30 at Walmart. It was AMAZING how much this helped her. She went from screaming for hours to complete silence. All of our kiddos use them. Of course we use most of the other things you mentioned too. Lol. Thank you for this! My daughter was recently diagnosed with SPD and I am beyond overwhelmed with how to help her. She begins therapy tomorrow, but I may go ahead and implement a few of these ideas into our home tonight! Chew toys: I buy teething beads in the baby section and string them on a pretty ribbon for my chewer. Cheap, washable, and looks like a little girl’s bead string. She likes them because the resistance to her teeth is just right. I’ve also had pretty good success with a short lanyard (like the kind you would attach keys to) that I tied to the top buttonhole of her dress. Fidget Toys: Silly Putty- cheap, doesn’t dry out easily and very portable. I keep it in the car, in my purse and in the house. These are great! We have some sensory issues here too. We love lava lamps for relaxation and Buckey balls for fidgets. This is an amazing list! When I was working with my special need kids at work we used a lot of these, especially the seat discs, fidget tools and the weighted items! I am definitely sharing this post with my readers this week! I appreciate this post, as you know, I homeschool because my oldest had trouble in public school. I love this list because we use almost everything on it! 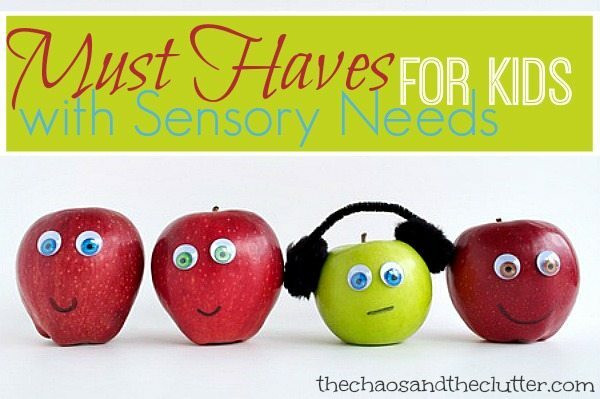 Being able to use so many of the sensory aids is another big benefit to homeschooling! Wow, thank you for all of the great resources and ideas!! !